I have never felt more at home than I did in Scotland. It’s a difficult feeling to describe. Upon landing in Edinburgh, I felt a sense of comfort and calmness. I rarely feel like this while traveling, mostly because I am experiencing a foreign place I have never been. Scotland was different. -Scotland is beautiful. I was fortunate enough to be there during July and had near perfect weather. I have heard and read Scottish weather is not always this cooperative. Make sure to check the weather and bring versatile clothing. -English is spoken in Scotland but English English is different than US English. -The United Kingdom is a rather expensive country overall, so sticking to a budget can be challenging at times. We stayed at Smart City Hostels by Safestay in Edinburgh. The overall experience was great. Safe, clean, central location, and affordable. We booked a 3-person private dorm room, but were upgraded to a 4-person room. It was cozy and had all the essentials. The hostel bar, Bar 50, was a little noisy on the weekend evenings, but provided great entertainment and an affordable pint. One evening Bar 50 hosted an open mic which was one of the most entertaining things I have ever witnessed. I recommend staying somewhere central, such as Old Town. I was only in Edinburgh for a few days, so cutting down my local travel time was a necessity. 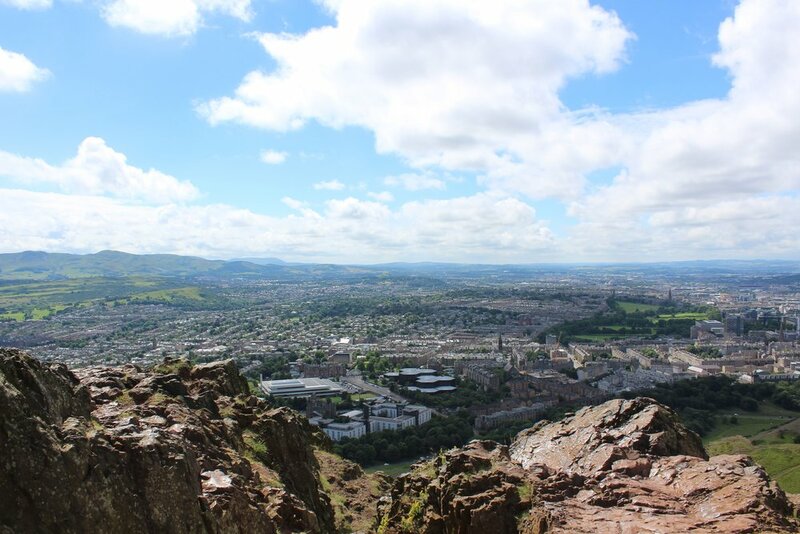 It allowed me to see Edinburgh's top sites in a short amount of time. If you have more time in Edinburgh I recommend venturing outside of Old Town and exploring other neighborhoods. Edinburgh Castle sits atop Edinburgh. It is an actual castle on a hill (hey Ed Sheeran). I was skeptical about taking a tour of this castle. Mostly because I had heard the crowds during the summer months can be horrific and not quite worth it. I got outvoted and I'm glad I did. It was incredible. Not only learning the history, but the view itself is worth the trip. If you can find an off-time (early morning or late evening) I recommend doing a tour then. We were on the first tour of the morning and by the time it was over, floods of people were pouring in. Most famously known for its role in the Harry Potter series. This adorable street is home to small shops, bakeries, and art galleries. It is rather close to the Edinburgh Castle which makes it an easy destination following your visit. This is a really cool area with lots of shops and restaurants. We did not get the chance to spend much time here, but it seemed like a very popular place for young people to hang out. One thing about me: my favorite part of traveling is trying the local cuisine. I love food, particularly Asian and Mexican if you're asking, but I wasn't sure what to expect from Scotland. I knew about the classics like fish and chips, but not very much else. I am happy to say Edinburgh came through in a big way. I ate some fabulous meals while exploring this vibrant city, and learned a lot about the local cuisine! Mosque Kitchen: I found this recommendation online and it did not disappoint. This was definitely more of a dive, cheap eat, but it was delicious. 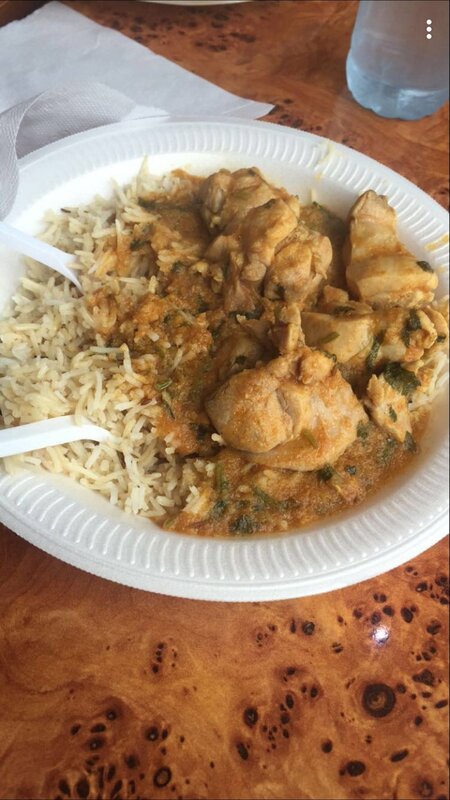 A large selection of Indian and rice dishes are offered at lunchtime for a very affordable price. Pro tip - curry in Scotland is incredible. 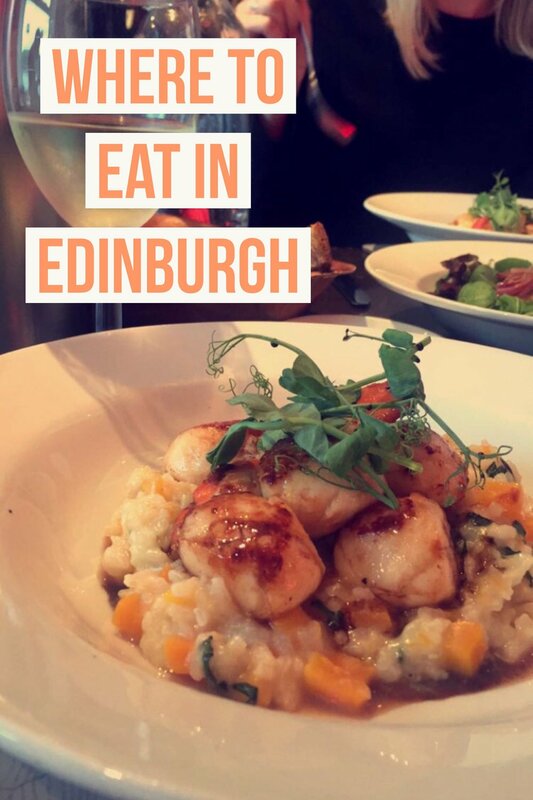 Tolbooth Tavern: We stumbled upon this restaurant one of our first nights in Edinburgh. 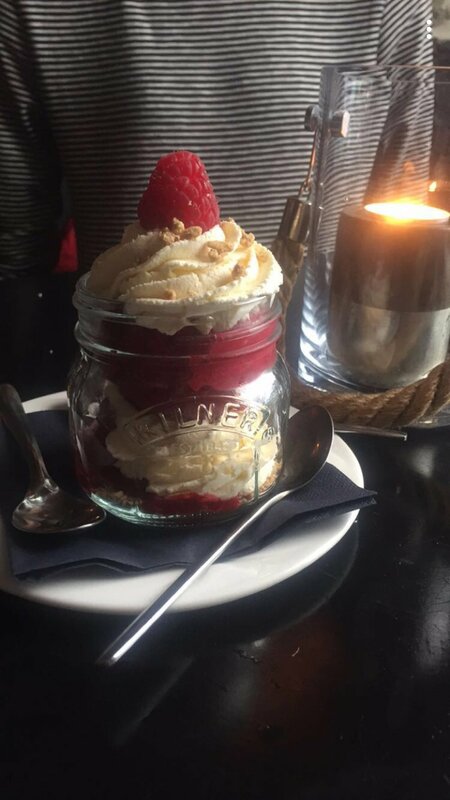 I can’t say the food was the best I have ever had but I was able to try traditional Scottish food. Elephant House: This famous coffee house is the location J.K. Rolling wrote the Harry Potter series. The place was packed every time I walked by. I finally popped in for afternoon tea and did not have to wait too long. Mussel Inn: This recommendation came from my uncle. The lunch special was a steal. A huge pot of mussels, salad, and warm bread for 8 pounds. Bar 50: The bar on the bottom floor of the Safe Stay Hostel. This was a great place to connect to internet and get a pot of hot tea. Larder: Right across the street from the Safe Stay Hostel was this adorable café. I had the most delicious smoked salmon sandwich (pre-vegan days) with mixed salad. Krua Khun Mae Thai: This hole in the wall Thai restaurant was phenomenal. It took a little time to find, but well worth the search. Stay tuned for the next post in my Scotland series, The Perfect 10-Day Scottish Road-trip! Complete with a road trip map and tips on how to see the beautiful Scottish Highlands.